If you’re new to the topic of solar power, be aware that every state has its own set of regulations and laws for solar energy and installation. Initial costs of solar power can be in the thousands, even with tax credits and rebates. There are several strategies that Florida residents can use to secure the financing needed to make the transition to solar power. 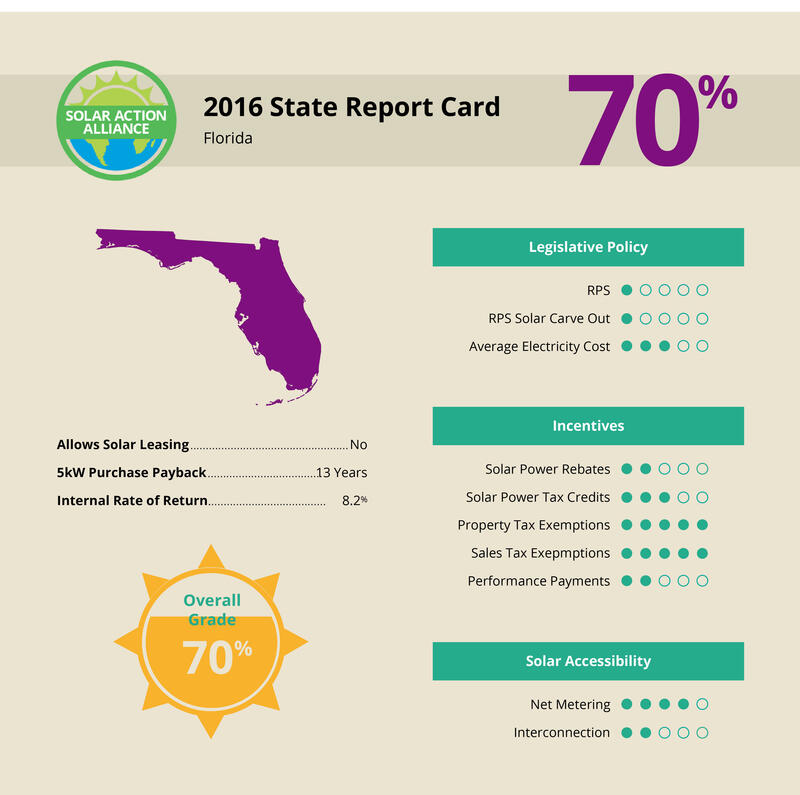 Your investment in solar energy can provide a significant return in Florida depending on how you go about it. From the comparison in the above graph, it’s clear that there is a lot of money to collect for anyone who makes the switch from electric utility power to electric via solar energy. Unlike most other states, get your solar through a PPA or third-party agreement is not allowed, so instead we will show examples of a loan or HELOC if you have just a small amount of equity in your home and for someone who has built a substantial amount of equity in their home. Not everyone has built up substantial equity in their home so if you’re in that situation, don’t give up hope. You can still go solar, just with a smaller solar energy system of about 2-kW. A small 2-kW solar energy system will run you around $7,875 to install. So forget that huge HELOC of almost $18,000, you’ll need less than half that and have lower payments for 15 years if you can get your interest rate fixed at 5%. 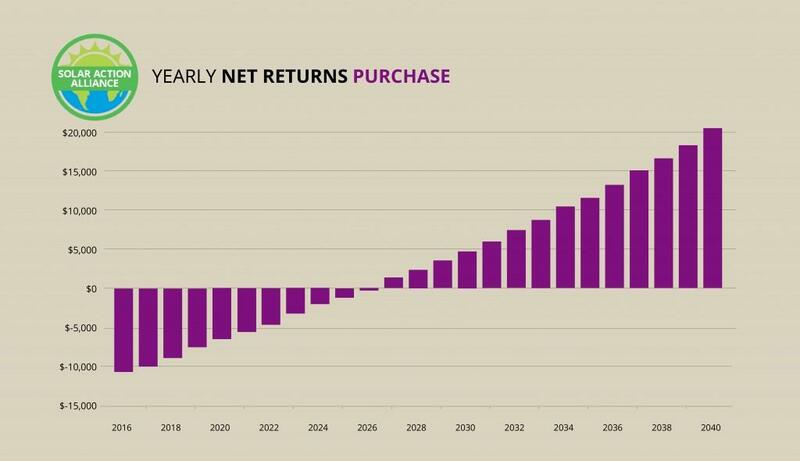 *Anticipated savings per year in electricity over 20 years equals increased home value of $6,400. After 15 years, the HELOC loan period ends and you reap savings of $500 annually through the end of the 25 years. That’s over $6,000 in savings. For those with the cash reserves to purchase a solar system up front, the $17,500 price tag might hurt a bit at first but will be eased after just the first year through a tax break at the federal level and energy savings of around $66 monthly. Your solar energy system will pay you back by saving you $796 in year one and more every year after as electricity rates rise. So not only does it pay you back by about year 13, for your initial up-front investment, but it generates an additional $25,000 for you. 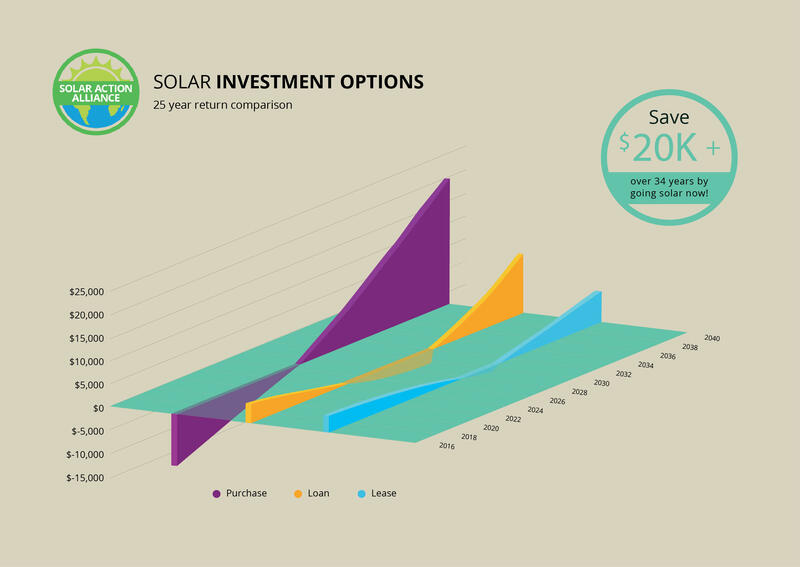 With an internal return rate of 11.6%, a solar energy system purchase will earn you $27, 026 from 2024-2039 whereas leasing a solar energy system will bring you $15,989, only slightly less in profit over the lease period. In addition to a 30% tax credit when you purchase either in cash or using a loan, monthly savings on electric utility bills are approximately $66. Solar purchase is looking pretty good right now for Florida residents. 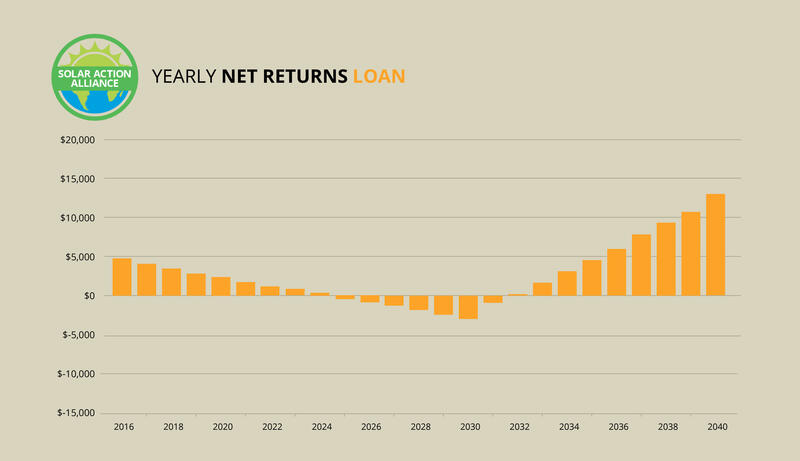 So the cash purchase of a solar energy system looks pretty attractive financially but what if you took out loan in the form of a Home Equity Line of Credit (HELOC)? Instead of dishing out $17,500 cash all at once for your solar energy system, you could pay one smaller payment each month. If you are lucky enough to have some equity in your home and can qualify for a $17,500 loan with 5% interest or lower, than this is the way to go. Let’s see the breakdown to understand why. First of all, if you can qualify for a HELOC, you get to use somebody else’s funds to purchase your solar energy system, yet you still get all the benefits as if you’d forked over the cash from your own pocket. Solar energy savings start the day of installation and you get the tax credit of 30% that first year. Now, you monthly loan amount will be slightly more than what you saving on electricity in the first year so you will actually spend about $72 per month more in year one for solar energy. But, as electric utility rates go up and up, your solar energy system continues to generate the same amount of electricity for you. So, if you can afford the $72 per month more in year 1, there’s a tax savings of $5,250 waiting for you at the end of the year. That’s a savings of $4,700 for the first year which should help ease the stress of monthly loan payments a little bit over the next couple years. After about year 15, your loan period is over and your savings add up to $1,300 annually for a 25-year total profit of $12,986. There’s only one problem. Florida legislature is a bit sporadic when it comes to solar energy. 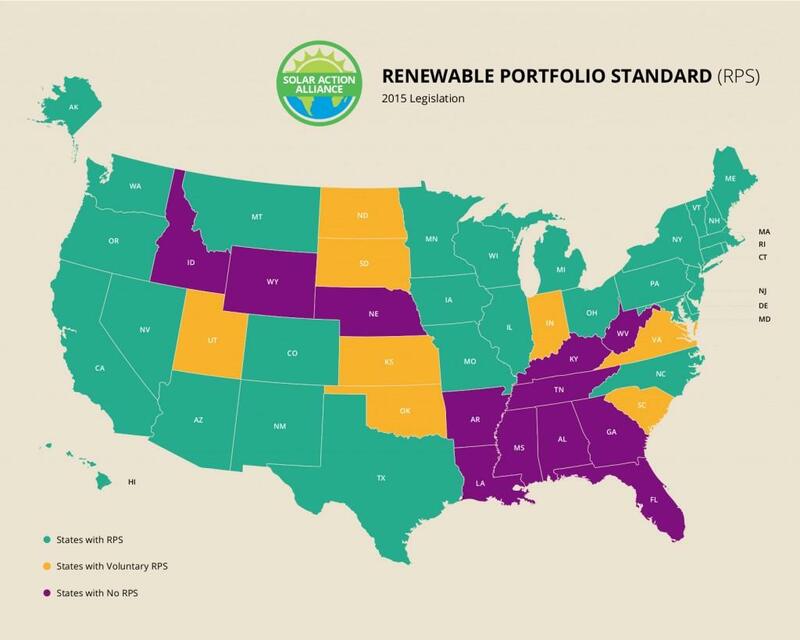 Florida lacks a Renewables Portfolio Standard (RPS) which is a type of mandate that often incentivizes public utility companies to work with residents who want to switch to solar energy. This gets Florida an F when it comes to residents going solar. Public utility companies meet the RPS standard by producing renewable energy or purchasing it from customers. Failing to meet these standards results in high fees. Florida has no such motivation and it shows across the board in all their solar energy policies. Even without an RPS standard, Florida does actually have one of the better Net Metering policies. Once your solar energy system is hooked to the grid, there’s no capacity limit, and any extra energy you don’t use earns you a credit on the next month’s bill over one year. After a one-year billing period, the utility company sends you a check for any net excess generation (NEG). Florida’s Interconnection policies are also not too bad for anyone with a small system that is 10kW or less. 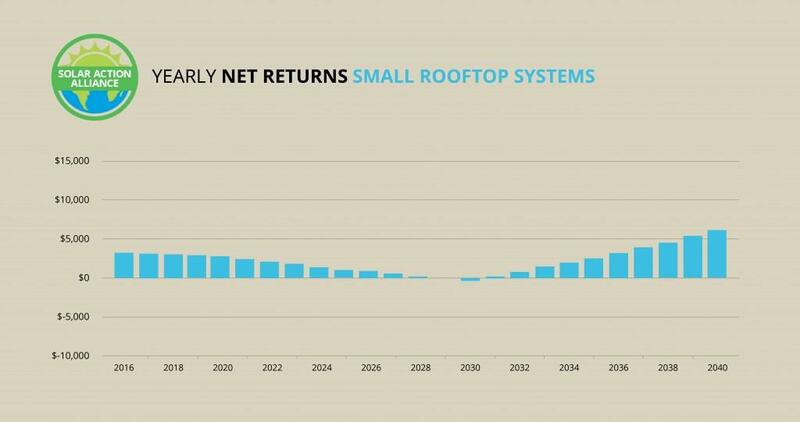 Most homeowner’s will have no trouble getting hooked into the grid and pulling in the savings from net excess generation. For solar energy systems bigger than 10-kW, interconnection is a bit more complex but still not bad. Unless you happen to live in the city of Longwood, where you can qualify for a city rebate of up to $500 or 10% of your solar power energy installation costs, then Florida has zero state level tax credits or rebates. Florida does see homes with solar energy systems as more valuable and rewards that through an exemption on property taxes. The value of your home goes up by up to $20 for every $1 you save in electricity per year. 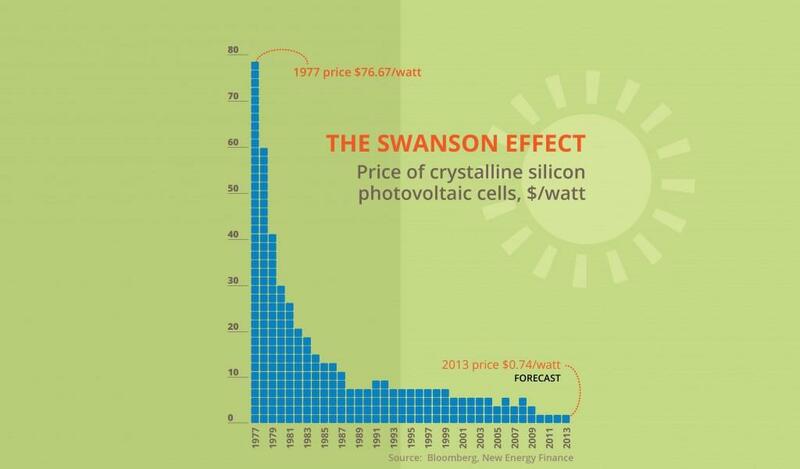 When you buy your solar panels, they exempt from sales tax, that saves you 6%, right up front. These are small steps but they are forward moving. The Orlando Utilities Commission does offer a fairly decent performance payment, $0.05 per kWh, to you in exchange for your solar power generation. It’s a five-year program, set up to auto renew for another 5-years and it pays you per kilowatt hour generated, even if you don’t power your home with it. This money adds up over time, as much as $332 in five years, it shortens the amount of time needed to pay off your initial system costs. So, sunny Florida doesn’t seem to be looking all that bright when it comes to solar power energy because their public utility companies have very little motivation to help residents make the switch. Lacking a solid RPS and without a statewide solar energy rebate policy, it’s clear Florida’s legislature doesn’t yet see the bright side of encouraging renewable energy production. Don’t lose hope if you’re a Florida resident, with the projected payback for a 5-kW system at about ten years, the state rates a “70%” grade overall when it comes to investing in solar energy.